I recently found out that Diana Ross—in my mind, the greatest female pop star of all time (and before some of you get all up in arms by that statement, know that I put Chaka and Aretha in another category)—has never won a competitive Grammy award. I know someone like me is supposed to be sophisticated enough to know that awards don’t always go to the ones who deserve them, but I still think Diana’s been robbed. Never more so than with this gorgeous ballad—which wasn’t even nominated (though it was nominated for an Oscar). 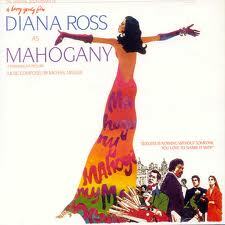 Composed by Michael Masser and Gerald Goffin, “Do You Know Where You’re Going To” is the theme song of Mahogany, Diana’s second film, and in my view it stands the test of time in a way the movie doesn’t, although the movie has a certain melodramatic 70s charm and a rare true black love story that renders it watchable still, after 35 years. Diana’s first number one pop single a few years after “Touch Me in the Morning”, “Do You Know” has a kind of ethereal wistfulness that benefits even more from Diana’s sincerely light touch. No one in the rock era ever wrapped her vocals around orchestral high-pop balladry like Diana Ross, and her ability to sell the lyric—obviously about a protagonist who didn’t have half the drive and ambition Diana does—speaks volumes about both her innate song sense and underrated acting ability. “Do You Know” plays like a sad soliloquy of regret etched with romantic hope, and Miss Ross’s careful but passionately rendered delivery transforms it into one of the most elegant sorrow song you’ll ever hear on the radio. Yes, it’s a Lite-FM staple now. Yes, it borders on the sentimental. But it’s still ear candy of the highest order, performed by a diva at the top of her powers—years before she’d show us just how much more she had to give. There’s a reason Luther Vandross considers Diana Ross an influence: anyone interested in sheer tone could do way worse than study the vocal stylings of Diana Ross. The album cover art is fantastic…thx for sharing!